You can have Joan Baez croaking about how many roads a man must walk down before they call him a man, or Pearl Jam’s Eddie Vedder agonizing because Jeremy spoke in class today. For me, no music is as near and dear as ’80s pop. Wagner might enjoy the Sturm und Drang of Seattle grunge, and Vivaldi would appreciate the airiness of New Age, but Mozart would embrace early ’80s music as the fun stuff. Especially since he was the subject of a No. 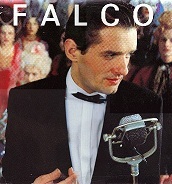 1 song, Falco’s “Rock Me Amadeus.” Falco, who died in a car accident in his native Austria in 1998, concocted his pop mishmash masterwork out of sloppy synthesizers, faux-rapping and a singing voice not unlike a rusty airbrake. But it works, because like the best of ’80s Top 40, it doesn’t take itself seriously. After the social revolution of ’60s pop died in the clutches of record company-driven ’70s schlock, the ’80s revived a dimension of fun and a parade of one-hit wonders unrivaled to this day. The ’90s would over-infuse cynical self-awareness and forced hipness on its cheesy music (see Spice Girls), but ’80s music was pure in its desire to hang nonsense words on riff-driven records. “She Blinded Me With Science” by Thomas Dolby. “I Ran” by A Flock of Seagulls. “Come On Eileen” by Dexy’s Midnight Runners. “Who Can It Be Now?” by Men at Work. “The Reflex” by Duran Duran. “Major Tom” by Peter Schilling. 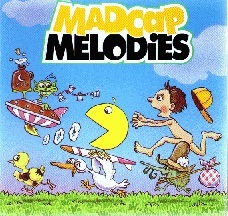 “Our House” by Madness. “Video Killed the Radio Star” by the Buggles. “Sweet Dreams” by Eurythmics. “Heart of Glass” by Blondie. “Electric Avenue” by Eddy Grant. “The Safety Dance” by Men Without Hats. Without even delving into the ’80s career peaks of Prince, Madonna, The Police, Peter Gabriel, Bruce Springsteen and Michael Jackson, or such lesser but still worthy artists as Cyndi Lauper and Duran Duran, ’80s pop music should be recognized as the zenith of irreverent fluff. In college, I co-hosted an ’80s radio show on Saturday afternoons. For hours, we would play requests and patiently explain to callers that Ozzy Osbourne and AC/DC may have recorded songs in the ’80s, but they were not ’80s artists. As we compiled an exhaustive collection of ’80s CDs, we found a few cherished slices of cheese were unavailable. For years, well after the radio show ended, our quest for these lost gems continued, across three states’ worth of pre-Napster record bins. The trinity of missing songs was narrowed down to “Party All the Time,” the Rick James-produced Eddie Murphy trifle that actually rose to No. 2; “Pac-Man Fever,” a silly Buckner and Garcia song that made the Top 10; and the U.S. version of Falco’s “Rock Me Amadeus,” which features the spoken interjections of Mozart’s year-by-year biography. Motown finally reissued the Eddie Murphy CD a few years ago, but still, two remained MIA. Now, only the U.S. version of “Rock Me Amadeus” remains undiscovered. I thought Falco’s demise would inspire an ever-ghoulish record company to reissue his stuff, but as yet, I haven’t seen anything. And I almost hope I don’t. The search, spanning years and miles, keeps alive the spirit of those Saturday afternoons in the DJ booth, with all the time in the world, playing the most fun, outrageous and playful music of any era in rock history.